The use of motor finance has grown rapidly in recent years with many products available, including Hire Purchase (HP), Personal Contract Purchase (PCP) and Personal Contract Hire (PCH). 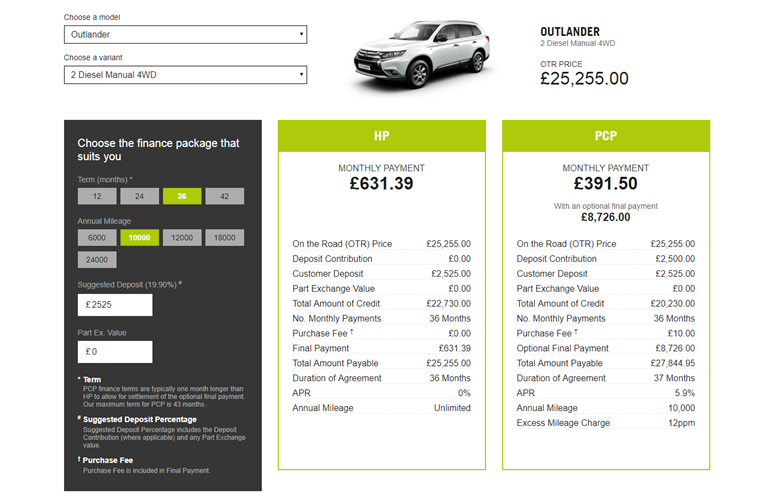 However, the majority of new car finance is currently in the form of PCP. So what actually is it, and what are the pros and cons of PCP? Broadly, PCP is the same as a Hire Purchase agreement – but with one key difference. It’s designed as a route to ownership that provides flexibility for people who are unsure whether they want to own the vehicle or not at the end of the agreement. At the end of the contract, there is an optional ‘balloon’ payment that the individual can choose to pay in order to take ownership of the vehicle. This amount is determined at the outset and may be referred to as the Guaranteed Minimum Future Value (GMFV). Monthly payments are based on the deposit amount and the difference between the retail value of the car and the residual value (the estimated future value of the vehicle at the end of the contract). Therefore, the more the vehicle holds its value, the better value your PCP deal will be as that will reduce your monthly payments. A mileage limit will apply to all PCP deals. This is because the salesperson will use the mileage limit to determine the vehicle’s depreciation and therefore its residual value. It’s important to be honest about how much travelling you are likely to do – exceeding the mileage limit will lead to financial penalties at the end of the agreement. PCP is seen as an alternative to the traditional Hire Purchase (HP) agreement and is subject to the protections set out in the Consumer Credit Act. It’s NOT A LEASE, but a conditional sale agreement. What are the pros and cons of Personal Contract Purchase? Fixed prices – You know exactly what you have to pay each month, which can help you set and keep a budget. Refinance – If you prefer, you can refinance the balloon payment at the end of the term. Flexibility – you can choose to keep the car or exchange it for a new one. Maintenance packages – Some personal contract purchase agreements may include maintenance packages that can range from basic servicing to total vehicle management. Driving a new car – Newer cars tend to be more fuel-efficient and cheaper to run, as well as safer. No depreciation concerns – It’s not necessary to buy the car at the end of the term and so you can still choose to walk away without re-sale concerns. 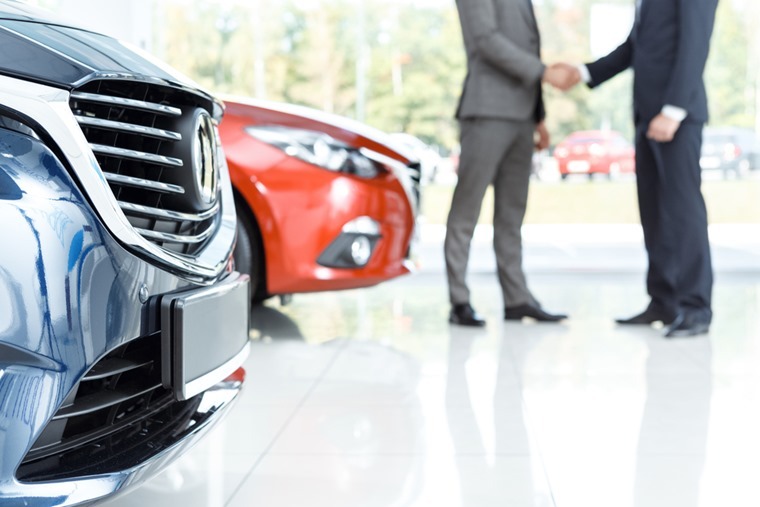 Access to more ‘upmarket’ vehicles – One of the key elements of a personal contract purchase deal is that it gives you access to previously unaffordable vehicles due to the low deposit and low monthly payments. Could be expensive – If you plan on returning the car at the end of the PCP agreement, rather than paying the ‘balloon’ payment, you might find contract hire a cheaper method of finance. Maintenance – The car must be maintained to the highest standards, especially if you intend to give the car back at the end of the deal. Mileage limit – PCP deals are subject to a mileage limit, and exceeding that limit could incur a hefty penalty payment. Road tax – Unlike contract hire deals, PCP deals do not include road tax (or Vehicle Excise Duty, to give it its proper name). What does a PCP deal look like? If you are unsure whether you want to own a vehicle at the end of the agreement, but want the option, then yes. Overall, PCP will generally be more expensive than traditional PCH deals, but monthly payments remain low and affordable. If you travel fixed distances and have a stable lifestyle, the mileage issue should not be a problem. Consequently, PCP deals are well-suited to people who want to drive a car that would otherwise be unaffordable and who want to keep their options open with the right to buy.